Hey there! Getting ready to skydive? 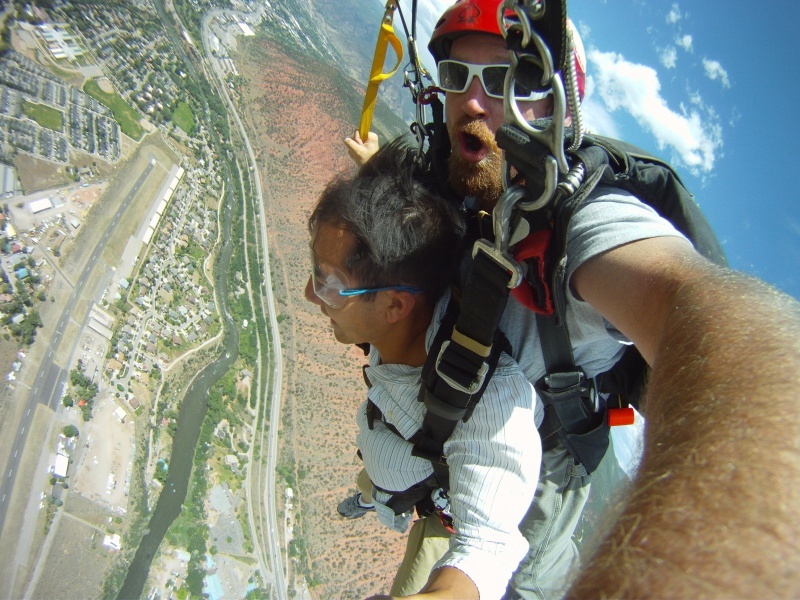 We put together this article to help you book your tandem jump. You may be planning a vacation around Aspen, or you might even be in the area already. Maybe you’ve been thinking of going on an adventure, or simply doing something new for the first time, then let us take you skydiving! First, let’s get to know what a Tandem Skydive means. You will be given instructions on basic body position on freefall and details on what to expect on the jump. Your instructor will be wearing and operating the parachute, while you wear a harness attached to his parachute rig. This activity includes a 15 to 20-minute airplane ride up to altitude, flying over the Roaring Fork Valley, with the views of Carbondale, Mt. Sopris, the Colorado River, the Roaring Fork River and more! When altitude is reached, you and your instructor will head to the door and in his count, you will begin your skydive. 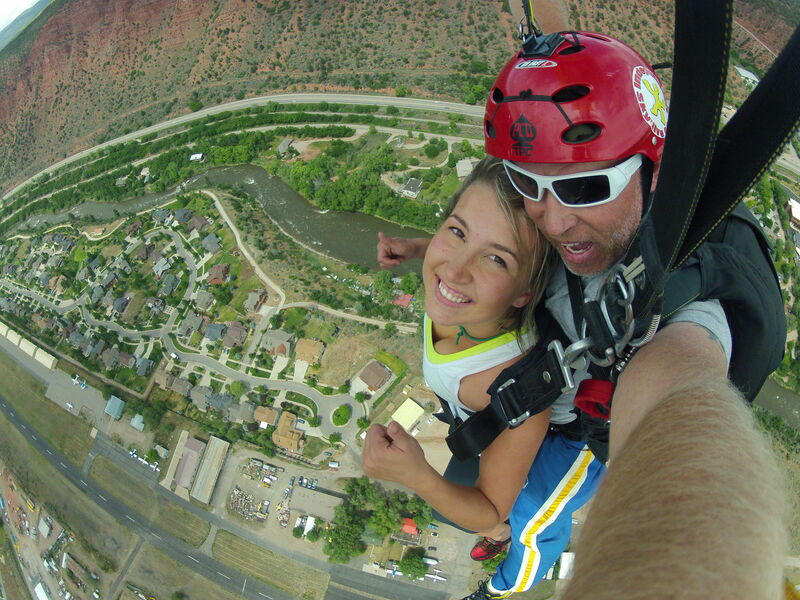 The average freefall rate on a tandem skydive is 120 MPH. That being said, expect the 30 seconds of freefall to sound just like that — 120 MPH wind. The 5-minute canopy ride is audibly the opposite of the freefall. 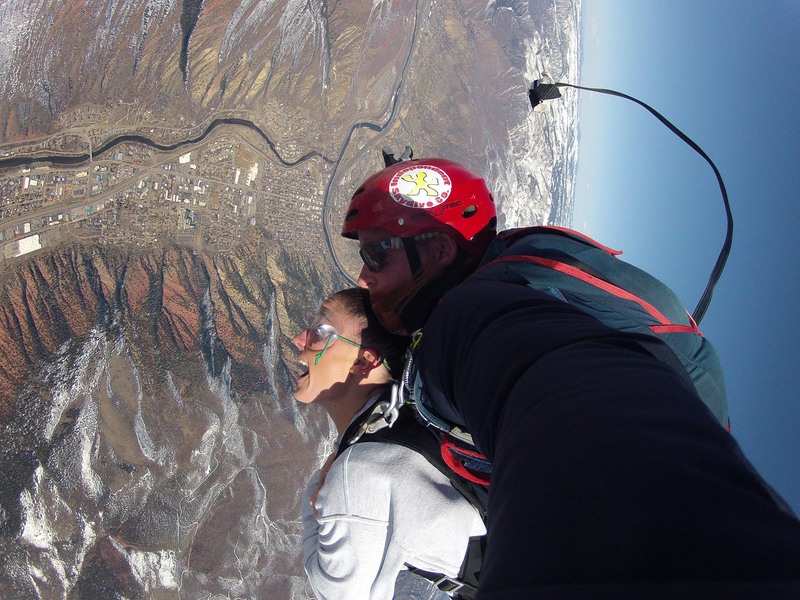 Now it’s serene, quiet and peaceful overlooking Glenwood Springs, CO.
You land back down, check out your skydiving photos and videos, collect your post-jump skydiving certificate, free shirt and free stickers! 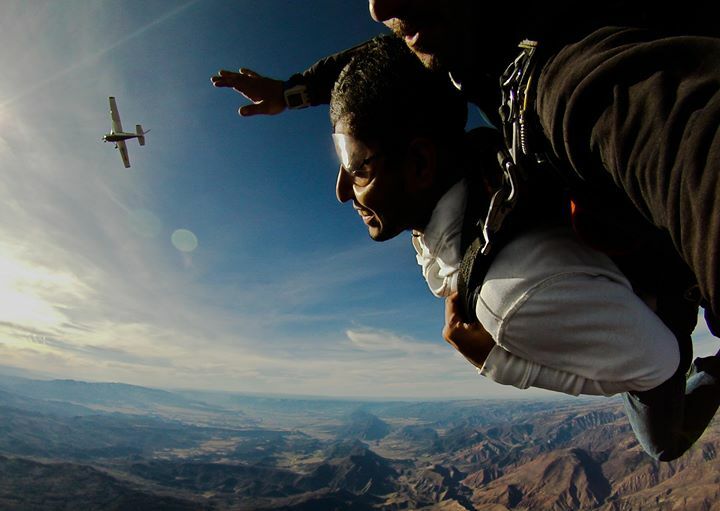 In most cases, you will be able to book your skydive through a skydiving facility’s website or over the phone. In our case, you may do either for your convenience. A tandem skydive will cost $308 per person, and you may purchase your digital pictures or video taken using GoPros by your instructor, for $100 each. The pictures and video both include pre-jump, airplane ride, exit, freefall, canopy ride and post-jump shots. You will receive all files in RAW, to preserve the HD quality of the products. We encourage you to call us to hear about our on-going and upcoming promotions and programs. Since skydiving is a weather-reliant sport, it is best to set aside an entire day for your this experience, although usually, it only takes about 2 hours total. Plan your trip ahead! If it so happens you are skydiving or celebrating anything special on this day, we have a grill for you to use. Bring your friends, drinks and have a cook out — take your time soaking in the fact you jumped out of a moving airplane in high altitude, and you made it back in one piece! Now you have the pricing, your friends/family, a date and time to book, what’s next? Call 970-364-3737 or make a reservation here. Interested in Solo Skydiving Certification? Get your A-License fast! Our solo certification program is now in session! Give us a call for more information. 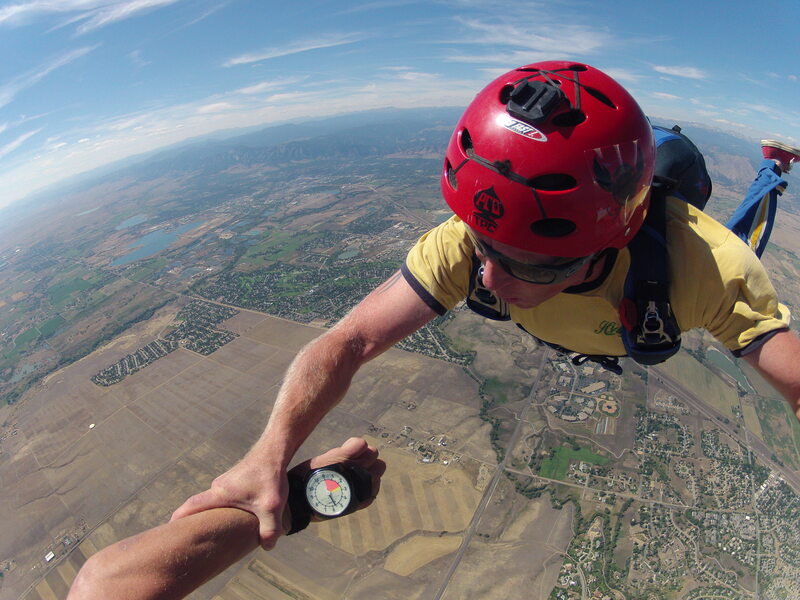 Experienced Skydiver passing through Colorado? Give us a ring! $30 per jump ticket & $25 rig rental. We offer all these for you!